An elegant design of contrasting colors: orange, rust, cream & light green. This unique piece is set off with a white square vase and makes great use of Cream Mini Gourds, Lotus Pods, Angel Vine, Lisianthus, Kale, Dusty Miller and Spider Mums. It's a wonderful winter treat that will appeal to both men and women alike! Use it for a celebration or to add a bit of color to your table or bathroom! 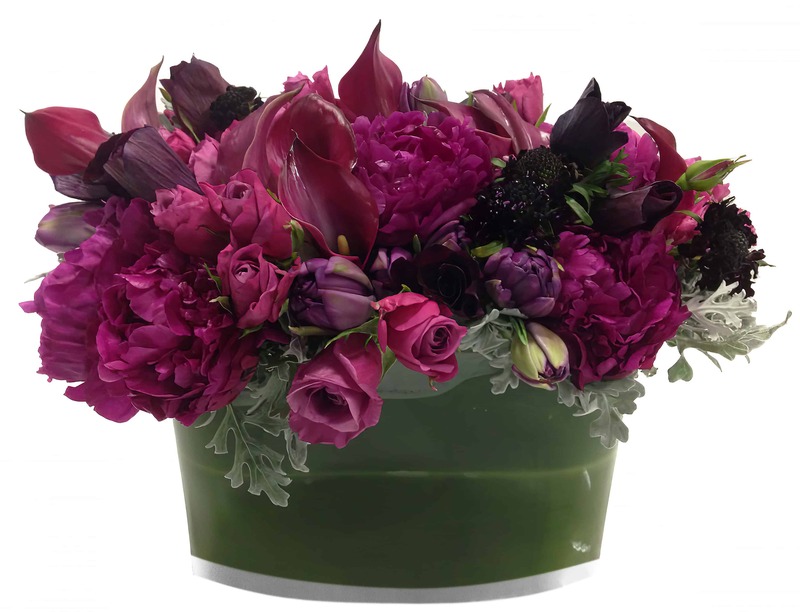 Design Exclusive to Rossi & Rovetti Flowers .